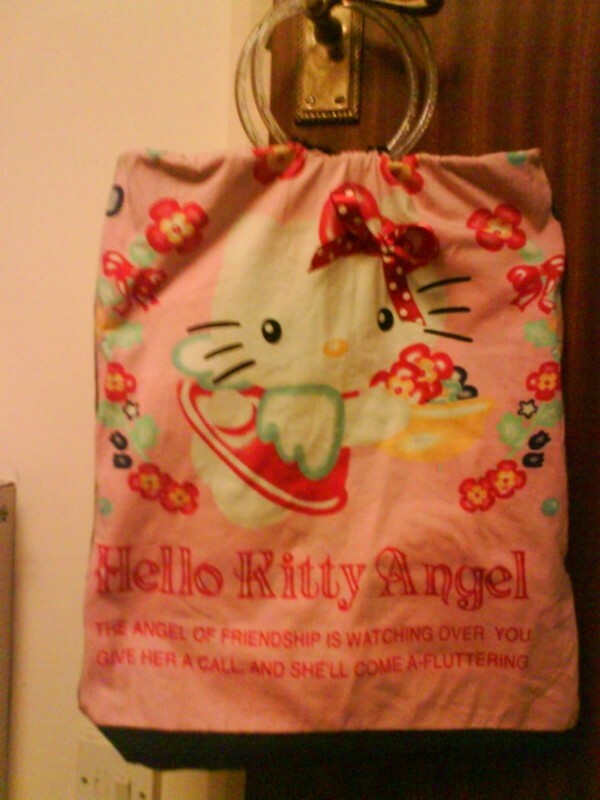 Totally Do Tt Y About Hello Kitty Reversible Bag! I hand sewed my bag, but if you want yours made sooner, then you could use a sewing machine. The bottom of my boobtube had a tie at the waist. I cut these off. 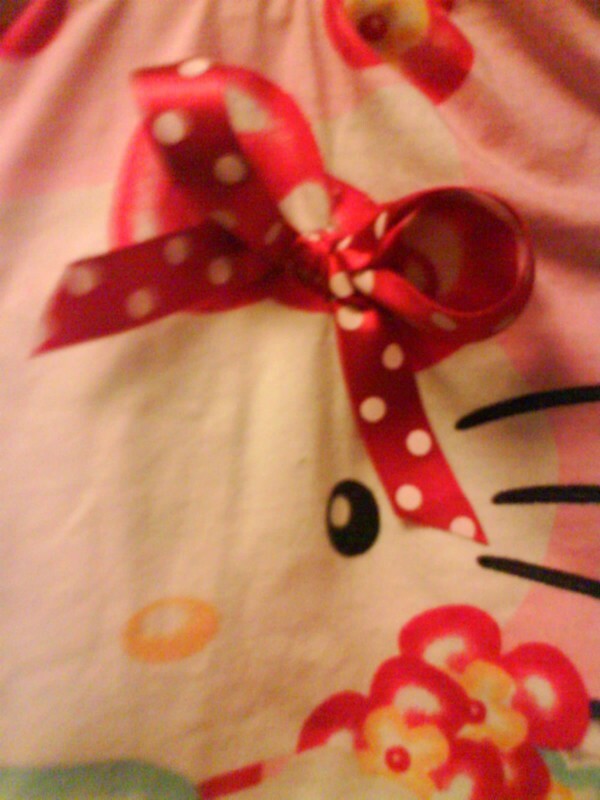 Then I turned the boobtube inside out, pinned both of the right sides together, and sewed them. 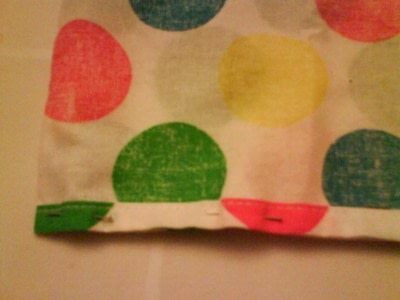 *Remove the pins after you have finished sewing* Leave this inside out, and place to one side. 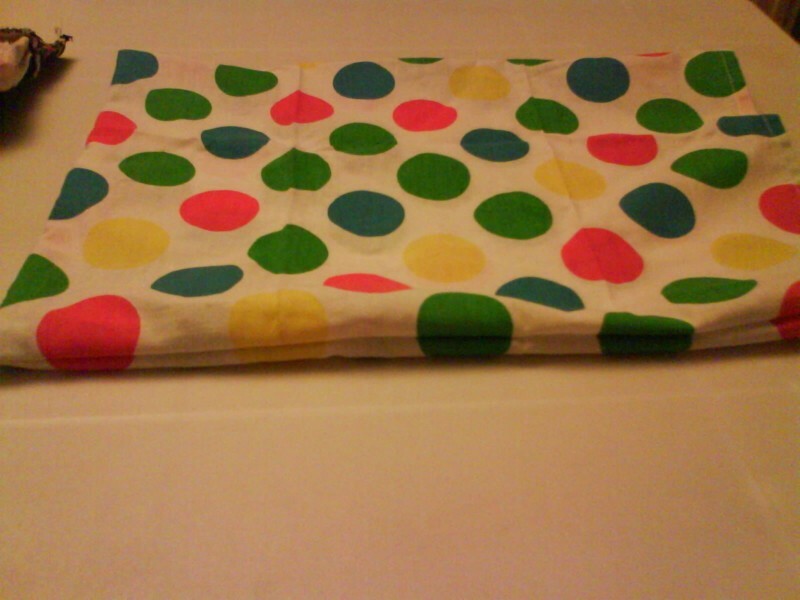 Next, i got my tea towel/ dish cloth, folded it in half and pinned the bottom and sides. 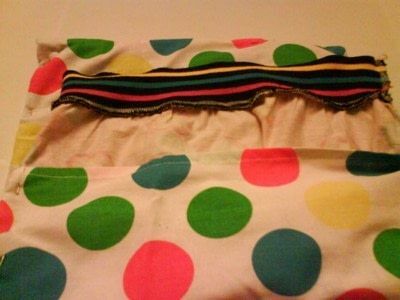 Leave the top open (think about how a pillowcase looks!) 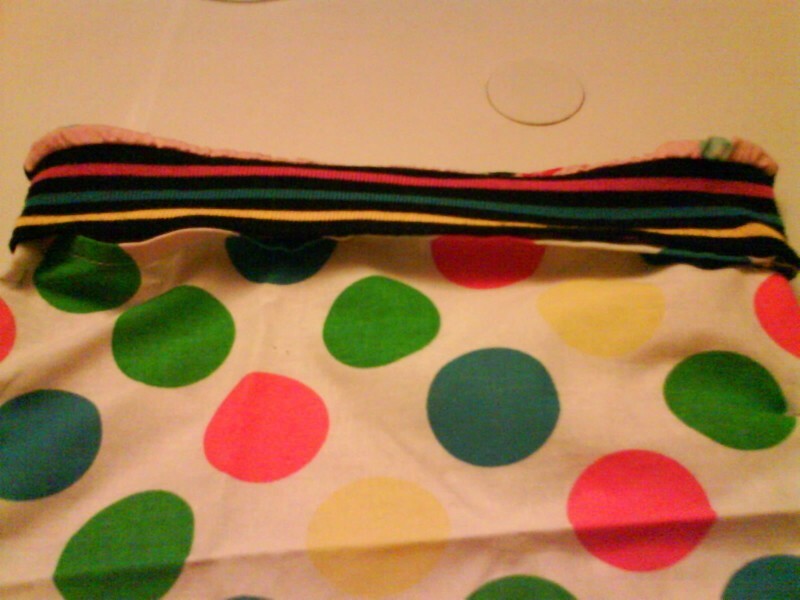 then I sewed these two sides. 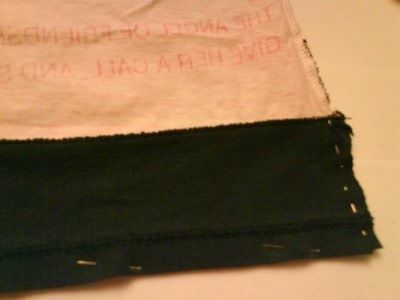 After sewing, turn your tea towel/ dish cloth around, so that it is the correct way out. Place your boobtube/ old t-shirt inside your tea towel/ dish cloth- like this. Make sure that the bottom end of your boobtube/ t-shirt is touching the inside of the tea towel/ dish cloth. 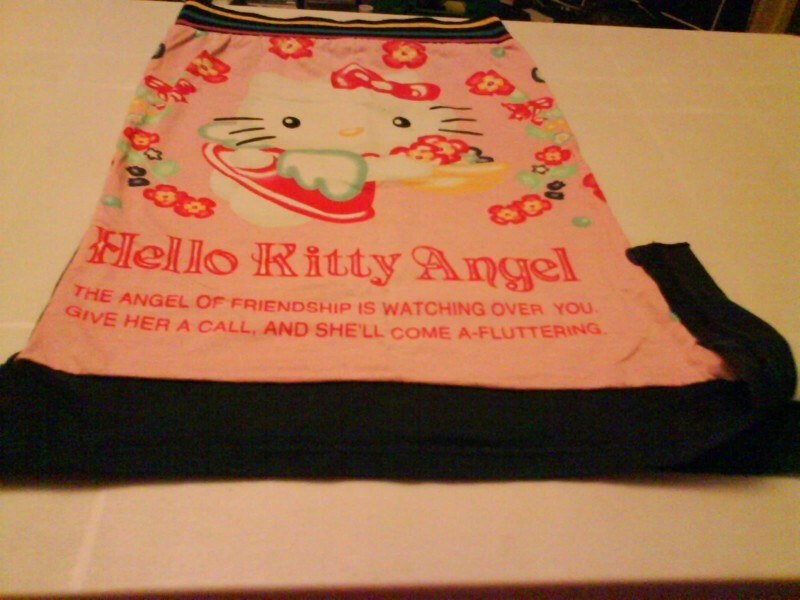 If your t-shirt is a bit too long (Like mine was in the above picture ^^ ) don't worry. Fold over the top edge of the t-shirt, to meet the top of your tea towel/ dish cloth. Pin into place and sew. 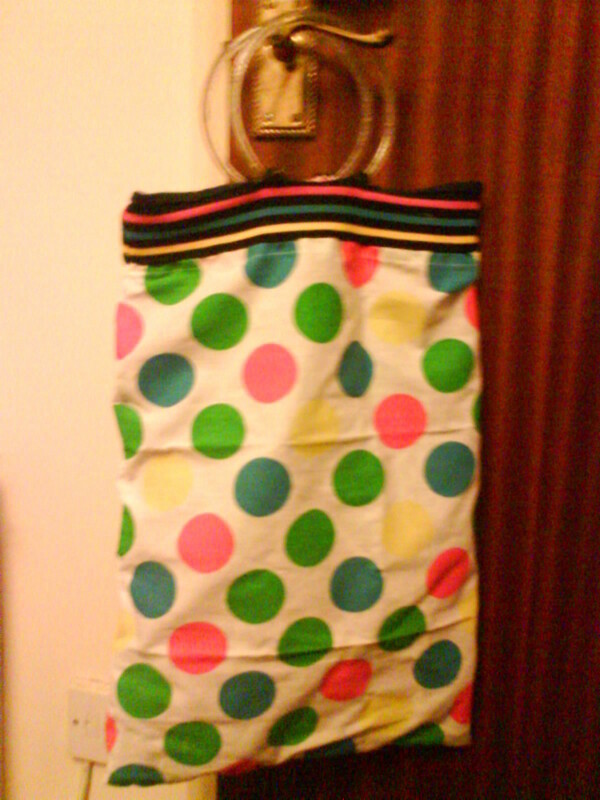 Fold your bag in half, length ways, to work out where to place your handles. 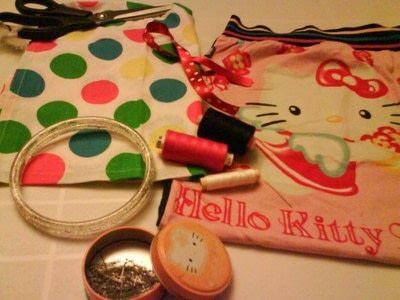 Use pins to help you. 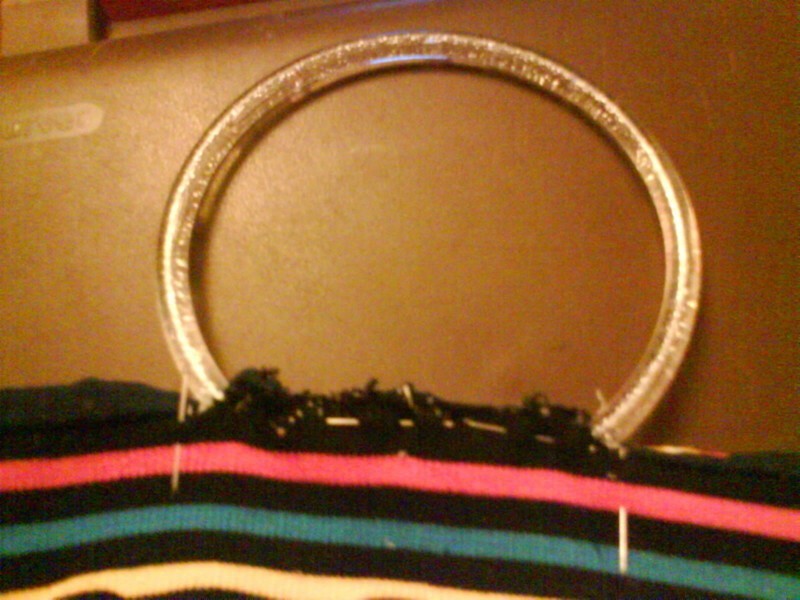 I cut a slit into my boobtube (as my handles are round, then I sewed the fabric over, to close up the slit.) Repeat this for the other handle.